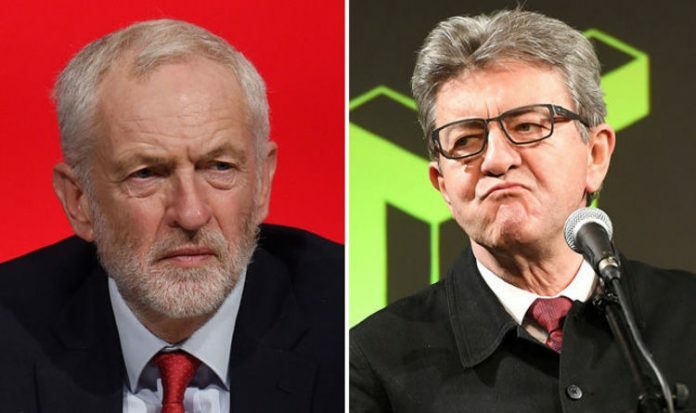 “We absolutely must restore the ties” between Europe’s left-wing parties, Mr Mélenchon, the leader of the hard-left La France Insoumise (France Unbowed) political movement, said on the sidelines of a Labour party conference in Liverpool, which he attended alongside his new ally. “One of us will, one day, win a general election,” he added, in reference to his high score in the first round of France’s presidential election in April 2017 and the surge in support for Mr Corbyn in last June’s general election. Mr Mélenchon won 19.5 per cent of the vote in the French election’s first round, while Mr Corbyn’s party gained seats in parliament after winning 40 per cent of the vote. Asked if he supported Britain’s decision to leave the European Union in March 2019, Mr Mélenchon said that the British “voted [in favour of Brexit] because they want to regain control over their lives”. “British governments have always had an extremely arrogant and unpleasant attitude towards other Europeans; and Europe, for its part, has always been odious to all its people. The bleak imbroglio that is Brexit is nothing but the result of these two phenomena combined,” he added. The leftist rabble-rouser also dismissed the possibility of a French exit from the EU, saying that the French were “the founders of Europe”. “There is no Europe without the French. If someone has to leave, it must be those who are not concerned with the wellbeing of their citizens,” he continued. In an interview with the left-leaning Guardian newspaper on Sunday, Mr Mélenchon said that grassroots movements like La France Insoumise had to ride the wave of popular disillusionment. “The whole of Europe is in thrall to a wave of ‘dégagisme’ – the desire to kick out the ruling political elite,” he said. Mr Mélenchon, a lawmaker in France’s lower house, is leading the charge against President Emmanuel Macron’s radical reform agenda in parliament. He has accused France’s 40-year-old leader of implementing economic reforms that favour the rich over the poor and of dismantling public services. Mr Macron’s centrist government has in turn accused Mr Mélenchon of preaching populism.